There are some well-known Chicago family dynasties: the Daleys, the Pritzkers and the Madigans, to name a few. 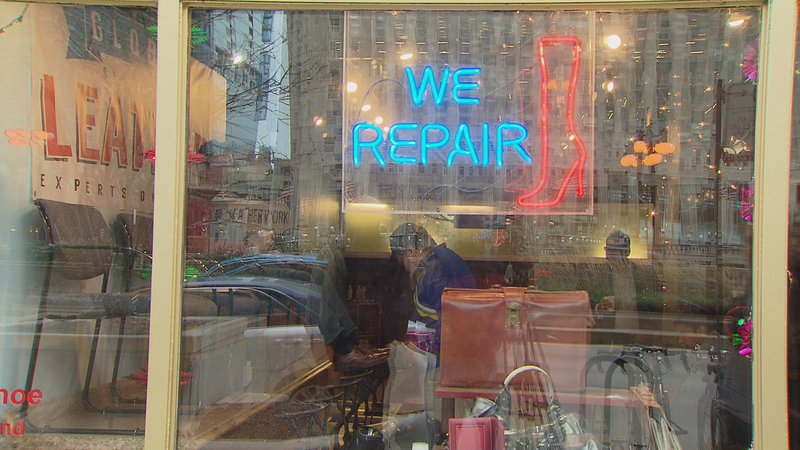 We’re bringing you the story of a lesser-known Chicago dynasty: three generations of cobblers, with shoe repair shops all over the area. Fix Your Kicks is in the Lincoln Square neighborhood, on Western Avenue, just south of Wilson Avenue. Joshua’s father recently opened up another location on Western Avenue. Fix Your Kicks, 4542 N. Western Ave. Fix Your Kicks, 2107 N. Western Ave.
Sam’s Shoe Repair, 1964 N. Milwaukee Ave.
Millennium Shoe and Leather, 318 W. Adams St. Note: This story originally aired on "Chicago Tonight" on Jan. 4. Dec. 22: You’re probably aware that Chicago has high schools specializing in math and science as well as the arts, but did you know that Chicago’s big urban school system has an agricultural high school? Dec. 19: Last week, Chicago pianist and singer Charles Goering, known as Barrelhouse Chuck, lost his battle with cancer. He was 58 years old. We revisit our November profile of the longtime bluesman. Dec. 1: Growing up with a Chinese restaurant on the first floor, an extended family upstairs and a killer train set in the basement. The story behind our neighborhood Chinese lunch place.